The Windamere is like a little outpost of the leafy England many have never known but still yearn for. It makes me think of my grandmother and the Famous Five – I could see Enid Blyton coming here on holiday. 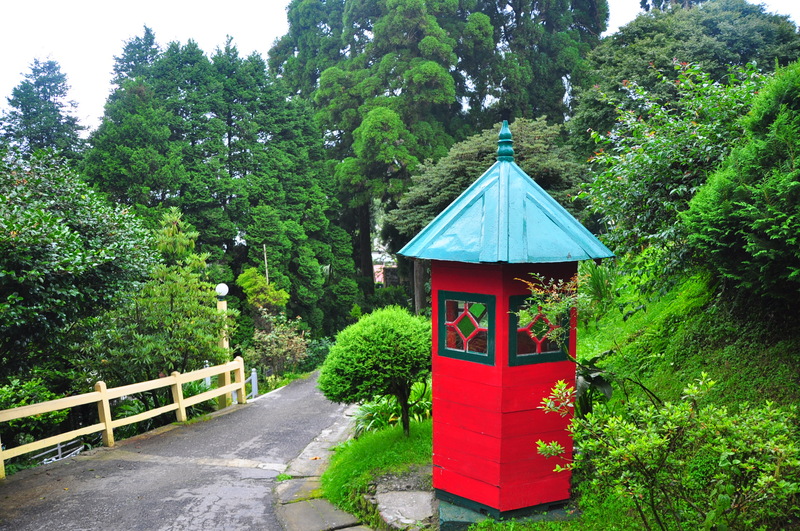 Situated on Observatory Hill in the hill station of Darjeeling amid the tea-growing district of the same name, the Windamere is regarded as THE Colonial hotel in what is West Bengal’s premier tourist attraction. 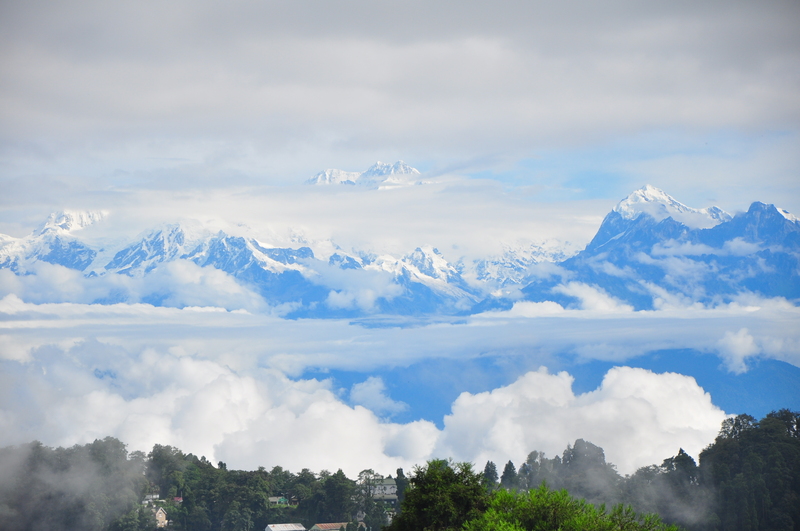 You don’t have to go far to find the main attractions here: snow-capped Himalayan peaks, including India’s highest Mt Khangchendzonga, hover in the distance, and the Unesco-listed Darjeeling Himalayan Railway (DHR) steams out of the station in the town below. The hotel shares its sacred hilltop with a temple beloved by Buddhists and Hindus, and was the site of the original Dorje Ling monastery thought to have given the town its name. The people are low-key here, although the town can be a little chaotic. However above the busy market areas some streets are pedestrian only, and locals gather at Chowrasta, a communal area for chatting, pony rides, dozing dogs and admiring the views. Chowrasta is also ringed by tea emporia, gift shops and a great bookstore. Formerly a ‘home away from home’ for tea planters, the Windamere resembles the domain of a wealthy relative in the Home Counties who likes things the way they were in her youth. The Windameerie – as the locals call it– became a hotel in 1939, and the decor has been kept exactly the same since then. Plumbing and wiring have been updated, and the wifi worked surprisingly well for this part of the world, but there are no plasma screen TVs and iPods in the best suites, though some rooms have televisions and there is a club area where guests can watch DVDs. The rooms are named after people who have stayed in them, such as Prince Peter of Greece, and the Chogyal (king) of Sikkim. 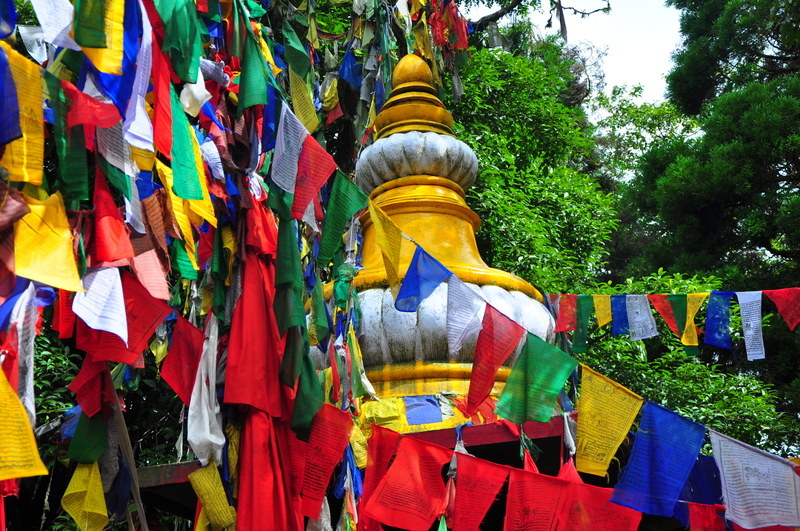 Once this area belonged to the Buddhist chogyals of Sikkim, but in 1870 invading Gorkhas from Nepal annexed it. In 1816 the East India Company took control and returned most of the land to Sikkim, after negotiating a deal that gave Britain control over future border disputes. It was two British soldiers who found the Dorje Ling monastery in 1828 and thought the area would be a perfect place for a sanatorium. The then-chogyal leased the land to Britain and in 1835 the ‘queen of the hills’ was established. The British left in 1947 and the Indian government gathered the Darjeeling Hills into what was eventually called West Bengal. Under the terms of Britain’s lease, the land was supposed to be returned to Sikkim, but that didn’t happen in the mad shuffle of independence, and Sikkim was eventually annexed by India too. Today the town features a range of Himalayan faces from Sikkim, Nepal, Bhutan and Tibet and plentiful signs proclaiming ‘Gorkhaland’ remind the visitor of the century-old campaign for the region to become a separate state. But it is back to the Raj at the Windamere, whether sampling afternoon tea by a fire in Daisy’s Music Room, or eating dinner by candlelight in the dining area where white-gloved waiters serve the nightly and lunchtimely Anglo-Indian set menu, followed by desserts such as spiced date pudding or chocolate souffle. I was feeling a little fragile when I arrived after a Kolkata street snack demanded to be deposited hastily in a gutter, but after a few days of fine Windamere cooking I was feeling much better and my digestive system had been soothed back to a state of normalcy. To stay at the Windermere is to plunge, ever so comfortably, into a vanished era. I watched a film in the DHR Club, examining the history of the area. Elizabeth Clarke, who made the film, is the director of operations at the hotel, and her theatrical background comes in handy when organising the cultural events and performances that are popular during high season and Christmas. People say the hill country is nothing like the rest of India – it’s much cooler and hillier for a start, and the residents are used to foreigners, so no one bothers you. In case you’re craving Indian ambiance however, be assured that there are people and sleepy dogs everywhere, along with endless honking traffic and women in saris to remind you ain’t in Kansas any more. This is why retreating to the Windamere is a such a joy, being above most of the town on the hill, the peace, the gardens and the views are a soothing balm, and the staff lovely. At night someone brings hot water bottles to put in your bed, and there’s ‘wake-up tea’ in the morning. It almost makes me yearn for the British to return and for an all-consuming interest in tea so I can become a planter and stay here forever.